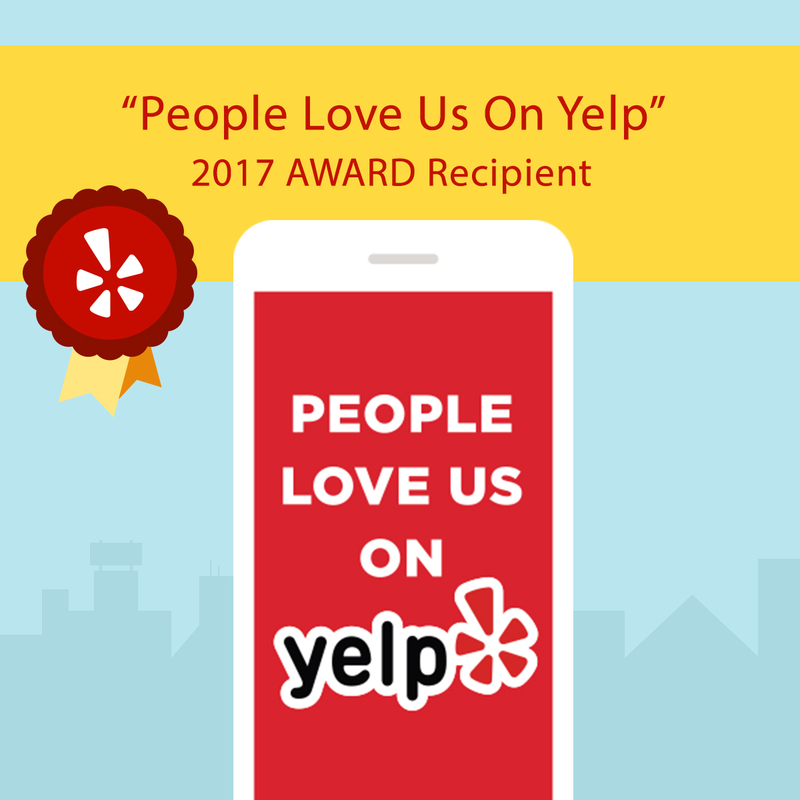 See How Customers Rate us on Yelp! Nobody likes to have their car repaired in the body shop, and no one likes to have their car painted (unless of course, they’re having a full custom restoration), but why is that? To answer this question we really need to go back to the factory where the car would have received its original coating. 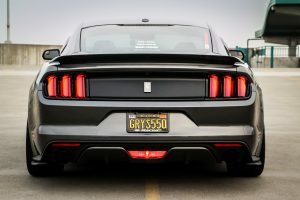 For starters, production cars are generally painted by robots under laboratory-like conditions; there is no dust from rubbed down paint and filler, no insects, damp or any other contaminants to cause possible flaws in the final finish. At this point, it is still a bare metal shell with no trims, handles, glass work, or anything else to cause obstruction or a break in the paint. First, the car is coated in primer to seal the metalwork and to give the top-coat the perfect base to adhere to. Some are still sprayed but many now dip and roll the car in the paint to ensure complete and even covering. This is then baked at around 375 degrees, which is only possible at the factory. Next the base coat (color) is added. This is done by robots. They will be programmed to cover the entire car with a perfectly even coat of paint to within a few microns. To help with this, the metal is also polarized—a negative charge is placed on the car and a positive one on the paint as it leaves the gun. This causes the paint to be physically drawn to the metal. The robots will always be pointing their paint guns in the same direction making sure that any metallics or inclusions in the paint lay on the panel in the same direction so you don’t end up with a patchwork effect on different panels. The car is once again baked at around 375 degrees before a clear coat is laid over the top to give that protective high gloss finish once again baked hard on to the vehicle. To further complicate things from a body shop’s perspective, factories tend to buy their paint in bulk batches, and with thousands of possible formulations usually made from many different colors, what you would think is the same car in the same color can have several different variations for the body shop to try and mix to match. 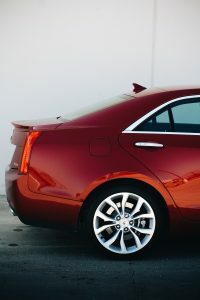 So, the question was, “why is paintless dent repair the superior method of car body repair?” The simple answer is: because it keeps that original, precisely applied, perfectly even and flawless factory paint intact. 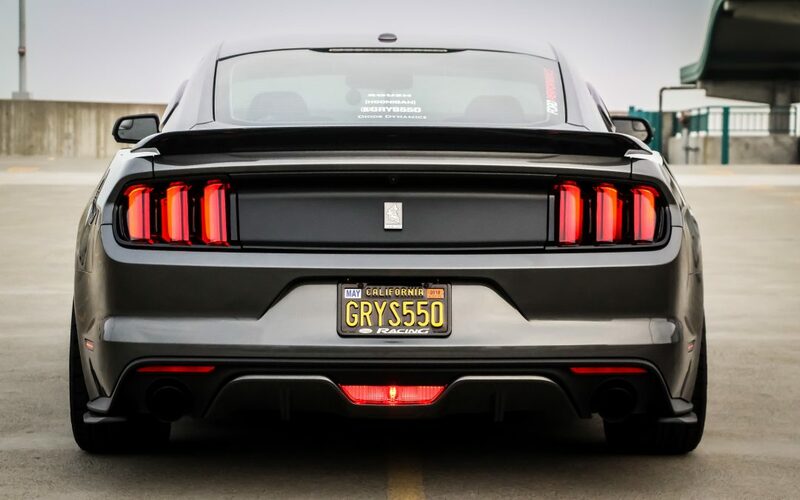 The metal is expertly massaged, pulled, pushed back to the shape it is supposed to be without disturbing any of the coats applied to the car at the factory. The perfect seal created by the robots is not broken and if the repair is carried out to a high standard the dent can be made to totally disappear. The alternative to a paintless repair usually involves a body shop and goes a little something like this; Firstly that precisely applied factory paintwork is ground off the car to expose the bare metal. The metal is then re-shaped by panel beating or welding tabs to it and pulling the dent out and to iron out any flaws left behind by this process, a layer of filler will be applied to smooth things over. On top of this comes a primer then over larger areas, the color and the clear coat very often being ‘blended’ into adjacent panels to fade out the difference in the finish from the factory paint so it is not so easily noticed. The level of quality of all these processes is very often governed by how much is being paid for the repair, as with most things in life, you get what you pay for. A good body shop will bake the vehicle thoroughly (up to a maximum of about 175 degrees) between layers and allow plenty of time for the materials to harden so avoiding a risk of shrinkage as they cure. Paint colors need to be matched as precisely as possible and even the air pressure on the paint gun needs to be correct to create the right ‘orange peel’ effect in the final coats. A highly skilled body shop that takes great care in their work can get a very similar looking finish to that applied at the factory but it is clear that it is never going to be the same because it is just not possible to recreate the same conditions and follow the same processes carried out by robots designed to do the job. On top of that, highly skilled body shops that take great care in their work are pretty hard to find and when you do, they tend to be very expensive (and rightly so). The bottom line is to try to preserve your factory finish whenever possible. Diablo Dents did a wonderful job recently repairing a rather large dent in my Lexus LS430. Diablo Dents did a great job…there is no trace of the dent. The car (an ’08 Maserati) looks great. There was absolutely no evidence that I dented my door! I highly recommend Chris at Diablo Dents. 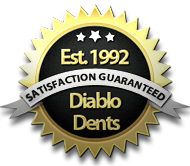 Why Choose Diablo Dents Paintless Dent Repair? More than 20+ years experience. Mobile – We come to YOUR home or office. A fraction of the cost of a traditional body shop repair. Increase value, improve appearance of your vehicle.